Gary Friederich, 66 of Reno, Nevada passed away on July 11, 2008 at home surrounded by friends after a brief terminal illness. 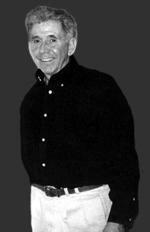 Born in Reno on October 6, 1941, Gary moved to Sparks in 1955 and graduated from Sparks High School. Gary led an adventures life and was known for his sense of humor. He was respected for his beliefs by all those that he knew and trained. 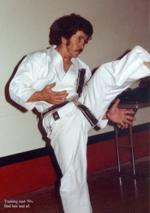 Gary devoted his lifetime to studying, training and teaching Karate and the Martial Arts. For over 40 years, Gary instructed men, women and children from all walks of life, including elite military and anti terrorist’s team members, operatives of the world’s top intelligence agencies, and many law enforcement agencies. Gary was appointed honorary good will Ambassador to Japan for the State of Nevada by Governor Grant Sawyer when he went to Japan in 1963. 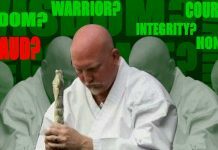 He earned his Black Belt and became a graduate of both the instructors course of the world renowned Japan Karate Association, Shotokan headquarters and the Kodokan Judo Institute, World Mecca for Judo, which are both headquartered in Tokyo, Japan. He spent over four years studying and training the world’s top martial arts in Japan. 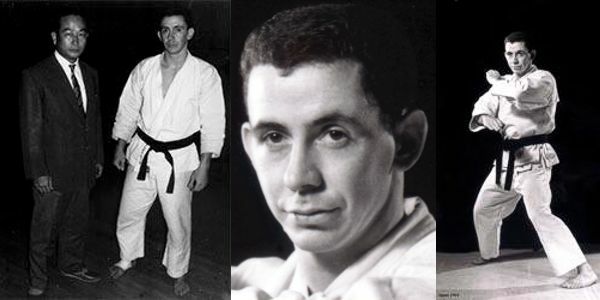 At that time Gary was one of only seven persons in the U.S. to have earned a third-degree black belt. While in Japan, Gary attended several universities, taught English at many of Japan’s largest and most prestigious corporations and earned a degree in Japanese. 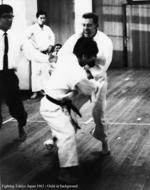 He was also the United States sole representative in the 1966 AllJapan Karate Championship matches. After returning to the United States, Gary won the Western States Karate Championship matches in Phoenix, Arizona and taught Karate at Arizona State University and Phoenix College. 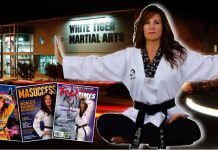 Upon returning to Reno, Gary founded the Nevada Karate Association which is still active today and well respected as one of the top recognized Traditional Karate schools. In May, 1967, Gary was drafted and spent 14 months in Vietnam as a paratrooper with the 173rd Airborne Brigade Separate. While in Vietnam, Gary worked with long range reconnaissance patrols and instructed martial arts to elite members of the Army’s Special Forces and the 75th Infantry Rangers. Gary was Honorably Discharged in May of 1973. 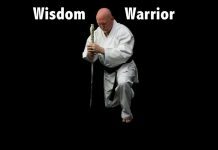 Gary came back from Vietnam in early 1969 and again took over his duties as the Chief Instructor for the Nevada Karate Association. He was granted jurisdiction to organize Karate throughout the State of Nevada under the strict guidelines of the Japan Karate Association of the United States where he was active until his death. 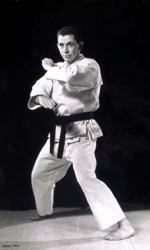 In 1970, Gary attended the First World Karate Championship matches in Tokyo, Japan. He continued his training while spending more than six months at the Japanese Police University, Japan’s most distinguished police training academy, studying arresting techniques and riot control tactics which included all major martial arts. He is the only occidental ever allowed this honor. 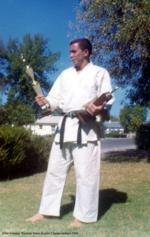 Gary, a diminutive third degree black belt Karate expert, and one of the first Americans to be awarded the degree outside of Japan, was also Nevada’s pick for 1971 “Athlete of the Year” award. He received the coveted award for Nevada by the Sierra Nevada Sportswriters and Broadcasters Association. In his constant pursuit of excellence, Gary has brought many of the world’s top military and martial art experts to teach, coach,demonstrate and share their skills, knowledge and experience with students in our state. Gary was a world traveler and took a one year twenty-seven nation tour learning more about various Asian fighting arts and guerilla tactics. Through out his life Gary maintained a strong bond of commitment and loyalty to all of his many friends and acquaintances that is seldom seen in today’s world. Gary was considered a true friend by many and will be greatly missed by all. 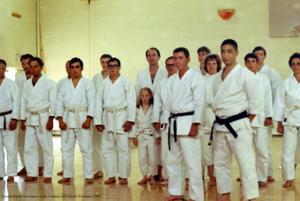 We also want to send our support to Don Evans as he carries on the legacy started by Sensei Friederich.